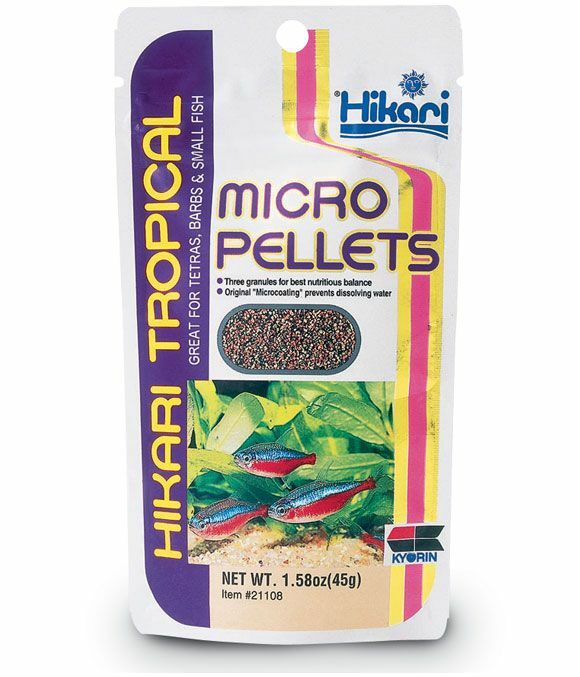 Hikari Micro Coated Pellets provide complete nutrition for small-mouthed tropical fish, including barbs and tetras, helping to promote their natural vibrant colouration. The pellets are semi-floating to suit mid-water feeders and will not cloud the water when fed daily, containing nutritious plant matter, fish meal and abundant vitamins and minerals. There are currently no questions for Hikari Micro Coated Pellets Fish Food - be the first to ask one!